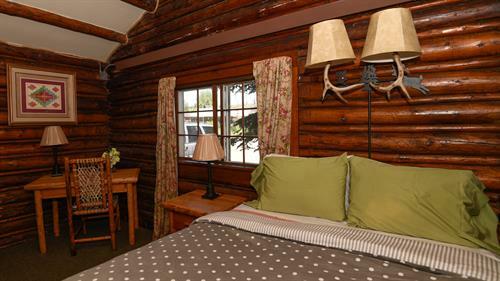 Comfortable 1 and 2-room Historic cabins with full kitchens in downtown Pinedale, Wyoming. 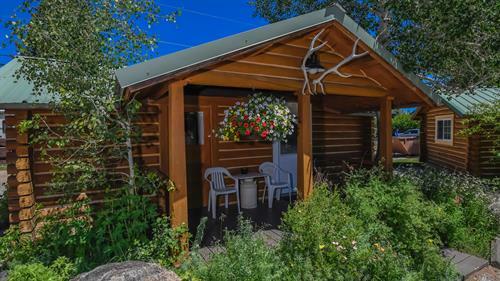 Rated #1 Specialty Property & ''Best of Sublette County.'' Green, sustainable operation; mature beautiful landscaping. 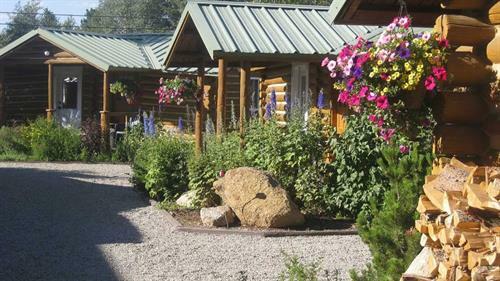 A National Registered Historic Place, our Pinedale motel features self-contained log cabins built in 1929 by Walter Scott, and has become one of the oldest historical sites as well as the longest continuously operated lodging property in Pinedale. While the motel has been updated over the years, it still maintains its old western heritage. 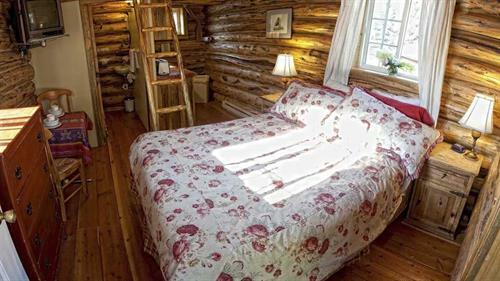 The current owners have updated all cabins over the past ten years, and completely remodeled 2 cabins as recently as in 2016 and 2017. 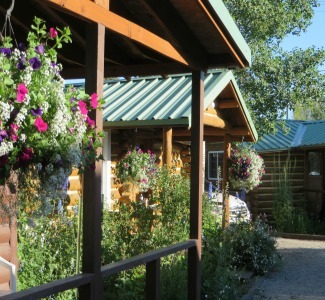 At the Historic Log Cabin Motel in Pinedale, we are committed to operate a truly sustainable and green Lodging property. 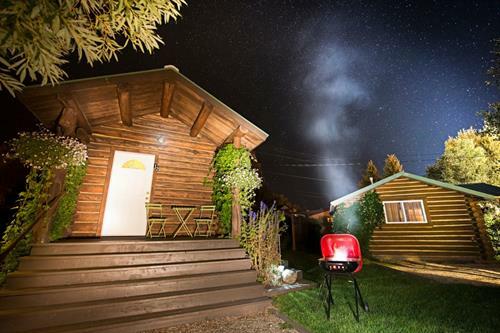 We use plant-based cleaning products, offer green amenities, use water-wise shower heads, have purchased organic cotton and wool blankets, added eclectic furniture pieces from Dude Ranches around Jackson Hole and recycle during the snow-free months of the year. 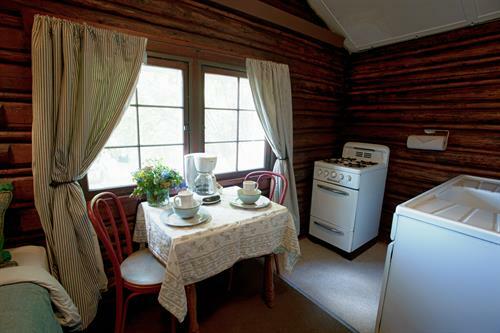 Every Summer season, we donate $.50 per occupied cabin to a non-profit that supports our green, sustainable and human potential values. In 2016, we donated to the Green River Land Trust; in 2015 we supported ''This Sacred Space'' prison project by K. Johnson. In 2017, we will donate the local organization MESA. A 501(c) 6 nonprofit, membership based organization. 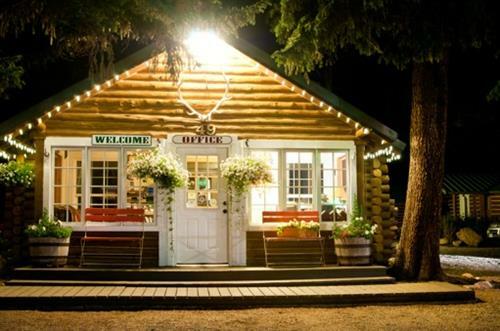 Our mission: To create and foster a sustainable business climate in Sublette County.